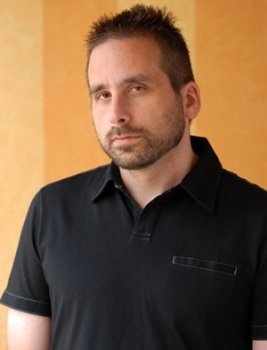 According to Ken Levine, 2011 offered the strongest selection of games since his own Bioshock came out four years ago. 2007 was a good year to be a gamer. Between Mass Effect, Assassin's Creed, Super Mario Galaxy, Call of Duty 4: Modern Warfare, The Orange Box, Uncharted, and a number of other titles, there was something to please just about every gamer's palate. Ken Levine, the creative director at Irrational Games, remembers 2007 as the year his company produced its seminal steampunk odyssey, Bioshock. While the intervening years have generally been kind to gamers, Levine believes that 2011 represents something special. Between impressive games and record-breaking sales, Levine claims that 2011 is the best year for gaming since 2007 - even without a new Bioshock title! Levine calls 2011 "a year to be proud of," citing games like Portal 2, Batman: Arkham City, Uncharted 3, Call of Duty: Modern Warfare 3 and Deus Ex: Human Revolution. It's worth noting that at least three of Levine's favorite games from 2011 are actually sequels to games that came out in 2007. However, his top pick for 2011 is the wildly popular Skyrim, the latest in a series whose last installment came out in 2006. Furthermore, he finds it impressive that Modern Warfare 3 became the fastest-grossing form of entertainment ever, besting James Cameron's Avatar by one day. "It's a year to be proud of everybody because people are delivering this year in a way the industry hasn't delivered in a very long time," Levine explains. With Bioshock: Infinite on the way, some fans may wonder where Levine found the time to play the biggest releases of 2011. "I always make time for games," says Levine. "That's important. If you're not playing games you're compromising your ability as a game developer to make good games." Levine's company has indeed produced some very good games, and is looking to produce another one next year, so his opinion carries some weight in the gaming community. Was 2011 all Levine believes it to be?